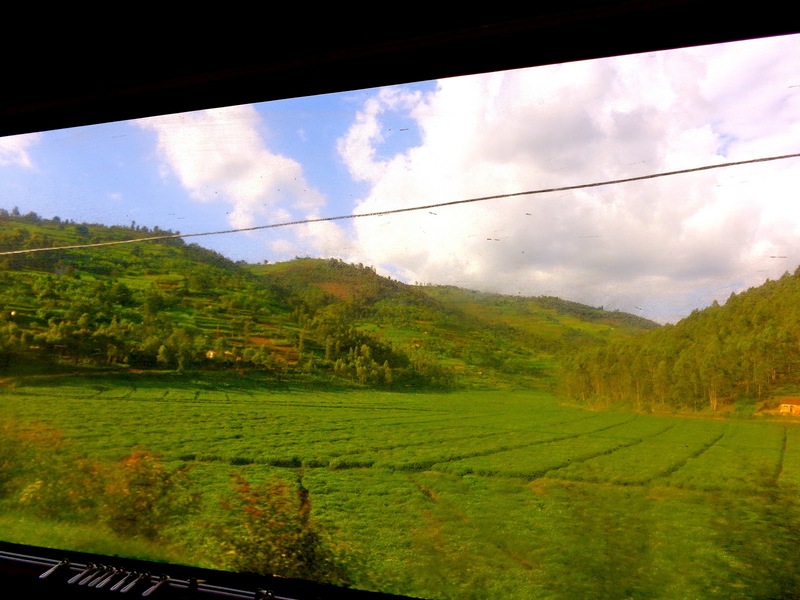 Adventures in Africa: My encounter with King Kong... Bidding farewell to Rwanda and saying hello to Uganda! 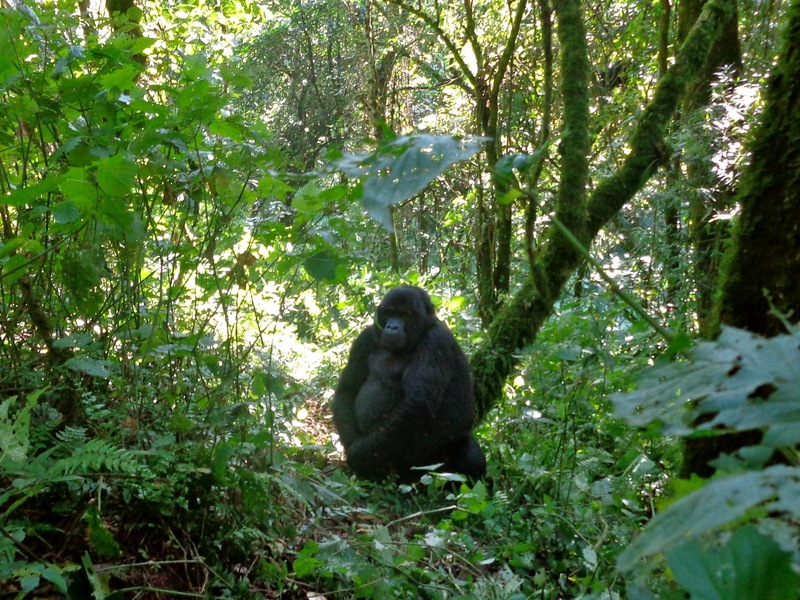 My encounter with King Kong... Bidding farewell to Rwanda and saying hello to Uganda! My stomach had completely dropped by the time I got up yesterday. I woke up bright and early, and made my way into town to the Tigo headquarters for my final few "on-the-ground" interviews for my research project. An additional piece of work I and a few other students have been tasked with in East Africa, is examining the influence of technology in achieving the Millennium Development Goals. My particular research project is focusing on the Mobile Money Transfer and Payment service, provided by the mobile network operator, Tigo. I have been in regular contact with the Tigo personnel in town, but was directed to meet with a data specialist at HQ on the outskirts in the morning, to which I gratefully obliged! After learning quite a bit about the company's operations, and discovering stats on the adoption and usage of the model, I made my way back into town to meet Jamie at the Bank of Kigali, so that we could withdraw US dollars for the next leg of our adventure. We rushed back and started packing. One always underestimates the time it'll take to pack, and this was no exception. It's hard to believe how much we settled in over the last four weeks, and although our place became homey, it made for quite the stressful rushed packing experience! After packing, we called our cleaner and paid him for his assistance throughout the four weeks, and then called a few of our friends to say goodbye. It was quite sad to say goodbye to Regis, who has been so good to us throughout the course, and even to Rehema, who has looked out for us and always made sure we felt part of "the crew." They both came by the house and we all promised to stay in touch. We then dropped off our keys to Dr. Murty, so that he could pass them on to Chris. It's quite unfortunate actually, Chris called us to let us know that he was going to stay in the Northern province with Patrick for a few more days. I'm glad they're having a wonderful time up there, but am sad that we won't get to say goodbye! He will be continuing his research in Kenya, and since he has an extra month here, he figured he might as well make the most out of his time with Patrick in Rwanda! I'm looking forward to seeing his pictures, and left him a nice note before we dropped off the keys. We then went to the canteen to take some lunch to go, and said our final goodbyes. Some of which included kind goodbye messages from secret and not so secret admirers! After picking up our lunch, we met Chris, our tour guide for the next three days. It's quite the coincidence actually: it's still Jamie, Chris and Salima, although it's a different Chris. The van was super hot, but thankfully I packed a couple bottles of water to keep me hydrated throughout the journey! I was just stunned by the gorgeous hillsides, so I kept my eyes wide open, but Jamie fell asleep quite quickly, and stayed sleeping for the majority of the ride. 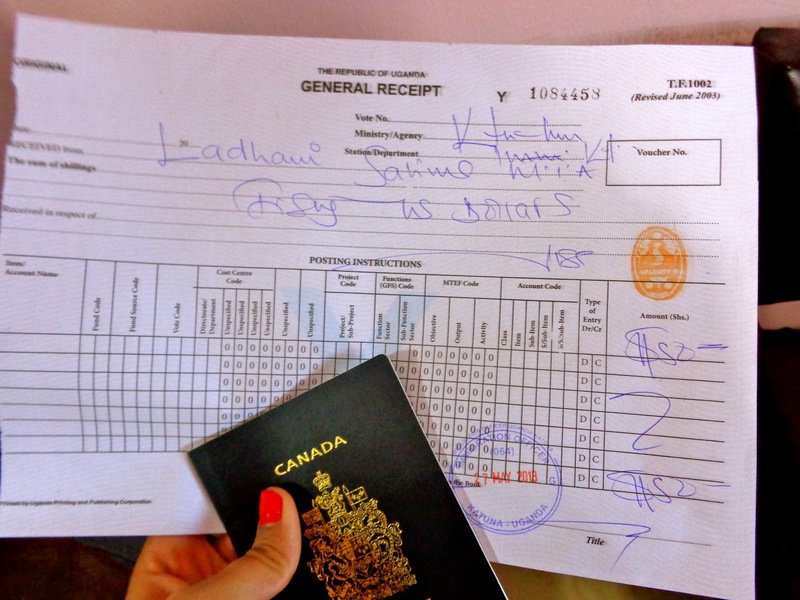 About two and a half hours into the ride, we arrived at the border… I had finally reached Uganda! This was a really special moment, as it's been 41 years since my parents fled Uganda as refugees, and neither has returned since. It was a pretty big moment for me, and I was thinking of my mom and dad as we crossed. As soon as we crossed the border into Uganda, it started spitting rain. The English nerd inside of me thought it might be some sort of pathetic fallacy of our trip to come, but thankfully there was a beautiful rainbow just a few moments later, welcoming us into the country. As we drove through Ugandan countrysides, we were surprised to see so many bicycles! Where in Rwanda the majority of vehicles were motorcycles, Uganda is more like the Netherlands, such that everyone rides their bike around! Numerous people were sharing the bikes as well, which helped me to understand the scar on my dad's forehead. He had been riding on the handlebars of my great-uncle's bike when they were kids, and I thought it was just playful mischief. Instead however, it seems as this practice is the norm, and that they were not being mischevious at all! Once we got into the mountains, en route to the gorilla trekking location, the roads became extremely rough. It took us two hours to drive just 13.6 kilometres! And the entire way was extremely bumpy, giving us our roller coaster fix for the week! It was quite late when we arrived at the lodge, a place called Gorilla Mist Camp. Our guide, Chris, is actually from the village neighbouring the camp, and has spent over a decade working with the gorillas. He was therefore very excited to be taking us to his home, and ensured that we had a pleasant stay. We were welcomed with warm towels and fresh passion fruit juice, before being taken for a briefing over dinner. The site was quite interesting, in that it exuded this kind of wild luxury. 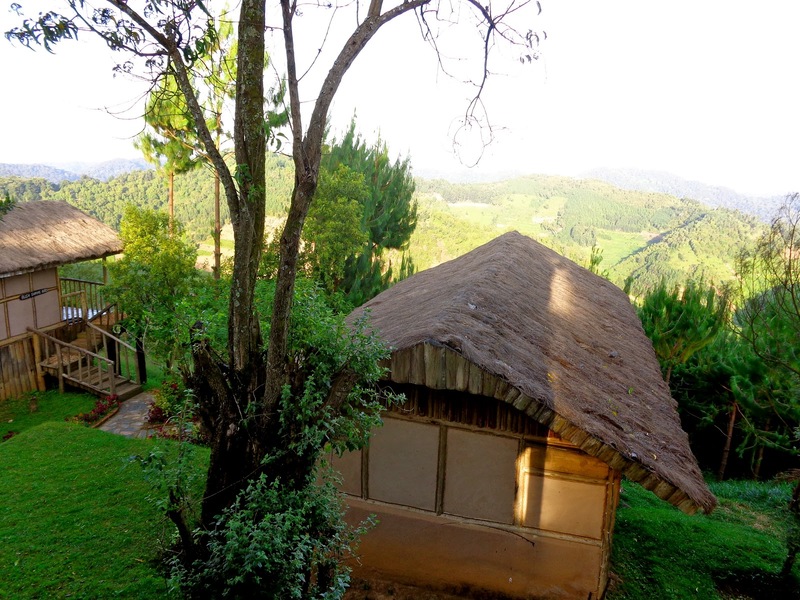 The roof of our hut was woven banana leaves, and we had tarps covering the windows, but at the same time, we had running water and two lightbulbs! Chris (Janssen, from home) had taken my flashlight for his weekend adventure, and will keep it for the remainder of his trip, so I had been worried that we would struggle without a torch in the wilderness. However, it was well lit enough to get ready for bed in, and it was a very nice room. It was quite cold, so high up, so we were pleasantly surprised when one of the hotel assistants mentioned that hot water bottles had been placed in each of our beds to warm us up! It was certainly a nice way to fall asleep, breathing in the crisp fresh air, and cozied up to the warmth of the hot water bottle. Our wake up call this morning was another pleasant surprise: there was a knock on the door and we were greeted by a staff member who had a tray in his hands, with a coffee flask and two tea cups on top! Ten minutes later, there was another knock on the door, and we were told that our showers were ready. Since we were so high up, they have to heat the water themselves, using firewood! It was a lovely, earthy shower, nice and warm, and the smell of burnt wood was pretty neat. I took my breakfast to go, and Jamie wolfed his down in less than 45 seconds. 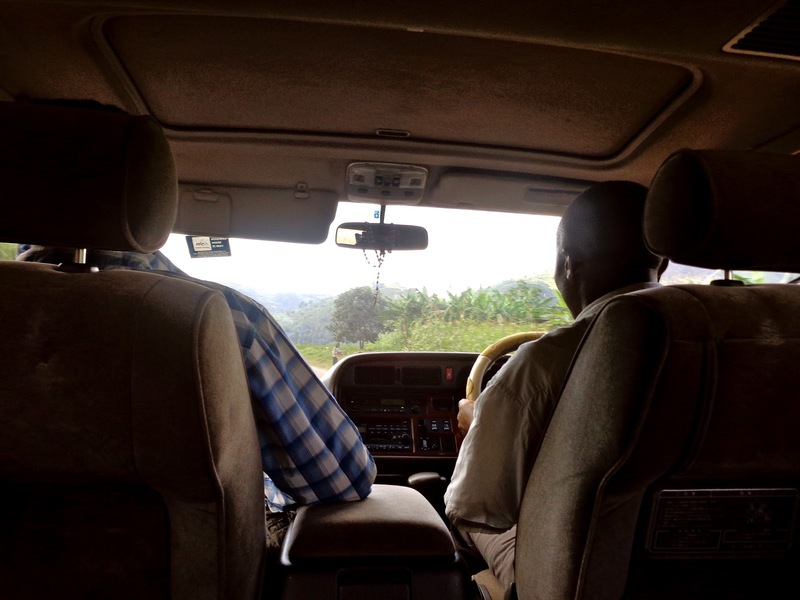 Chris, our driver, was extremely impressed, and we started on our way to the Bwindi Impenetrable National Park, for our gorilla trekking adventure. Upon arrival, we had a quick briefing, and met the couple who would be joining us on our journey: two elderly Australians, who have been wanting to do this for 20 years! I realized how lucky we were, to have the opportunity to be in East Africa and experience the gorillas, and made a mental note to thank my parents when I speak to them next, for granting me such an opportunity! 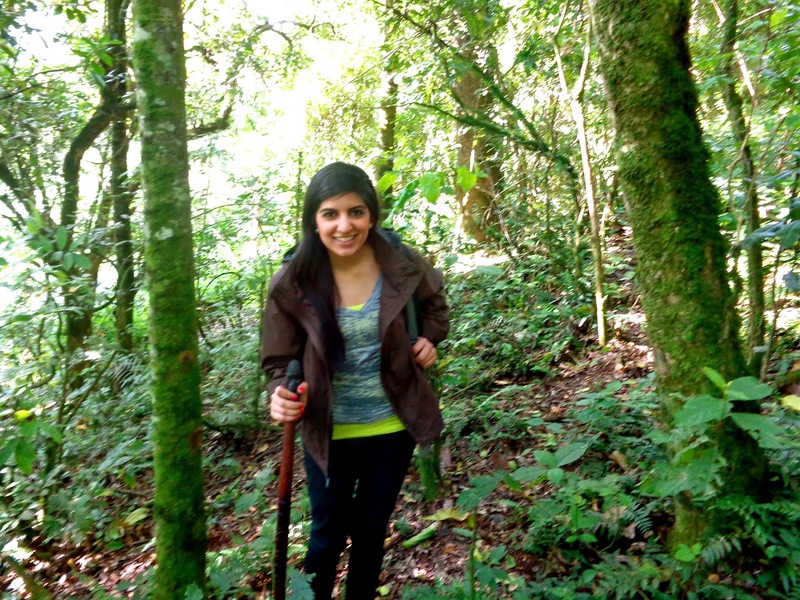 We set out on the hike, and spent about an hour trekking through the bush. The terrain was quite rough, but there was quite a bit of elephant damage around, so parts of our hike had a sort of path. I was very thankful that we decided to rent a walking stick for $5 US, as the guide had advised us that it is often beneficial to have a third leg when hiking this terrain. Janelle and David, the couple that came along with us, hired porters as well as walking sticks, also at the advice of the guide. Our guide (who when we asked his name simply responded, "guide") was great. He used his machete to hack away branches as he led us through the jungle, while communicating with the gorilla trackers, who were searching for the gorilla family's location today. At one point, we were told to stop, and leave our sticks with one of the porters. We were instructed to take out our cameras, turn the flash off, and a couple of steps forward before looking to our right. Just three meters away, was a giant male silverback gorilla! He was sitting peacefully, eating berries, and was actually massive. From there, we saw nine other gorillas from the same family, including the leader, who grunted at us a couple of times, and a little baby, who is only two years old. It was absolutely surreal: it actually looked like humans were simply in hairy gorilla costumes, as their mannerisms were so similar to our own! The gorillas were very gentle, but magnificent creatures! It was breathtaking to be so close, and I apologize that the pictures don't do them justice. I'm so glad we were able to splurge and take this trek, and I highly recommend the experience for those planning on visiting East Africa! After all, there are only about 700 mountain gorillas left in the world, residing in just two mountain ranges: the Bwindi Impenetrable National Park in Uganda, and the range with three names, shared between Rwanda, Uganda and The Democratic Republic of Congo. 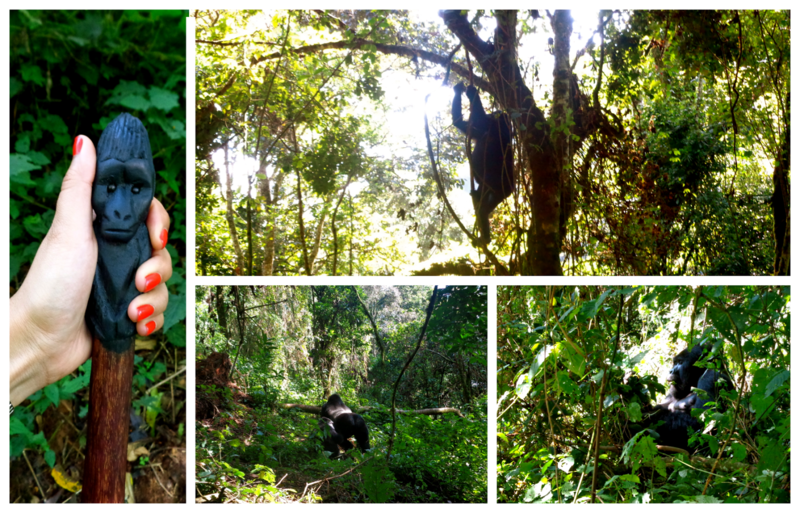 After spending about an hour with the gorillas, we started our trek back to the camp. We learnt that we were actually very luck to have seen them so soon, as they were feeding relatively close. Apparently, some days it takes groups up to three hours across even worse terrain just to reach the family! We saw some interesting bugs along the way, and since my ankles were showing ever so slightly between my socks and pants, the guide recommended that each time I see ants on our hiking route, I run. I would therefore recommend to anyone planning to embark on this adventure in the future, to wear long socks! (And tuck in your pant legs into the socks, no matter how much of a fashion faux pas that might be, as it'll save you from the fear of these safari ants!) One wild bug flew down my shirt, but thankfully I was able to do a little bit of a dance and pick it out before it was able to bite me! Once we arrived back at the camp, we were presented with our certificates, and proceeded to eat our lunch. They had set up a very overpriced souvenir stand at the base, with some lovely jewelry pieces and wooden gorilla masks. If trekking hadn't been so much, I would have bought something in an instant! Unfortunately, however, we have seen similar pieces for much less, and we therefore left for our hotel without purchasing any of the handicrafts. We quickly packed, checked out, and started the journey to my mother's birthplace, Masaka. Since Masaka is en route to Kampala, Chris asked us if we could give his kids a ride, to see their aunt in Kampala. We said yes, as there is plenty of room in our van, and we had met the two of them last night, and found them to be well behaved. However, when we stopped in his village, the mother, two kids, and their baby got in! We were a little taken aback, and Jamie took Chris out for a talk. Hopefully Chris will do something for us to help us out with the price for the week! 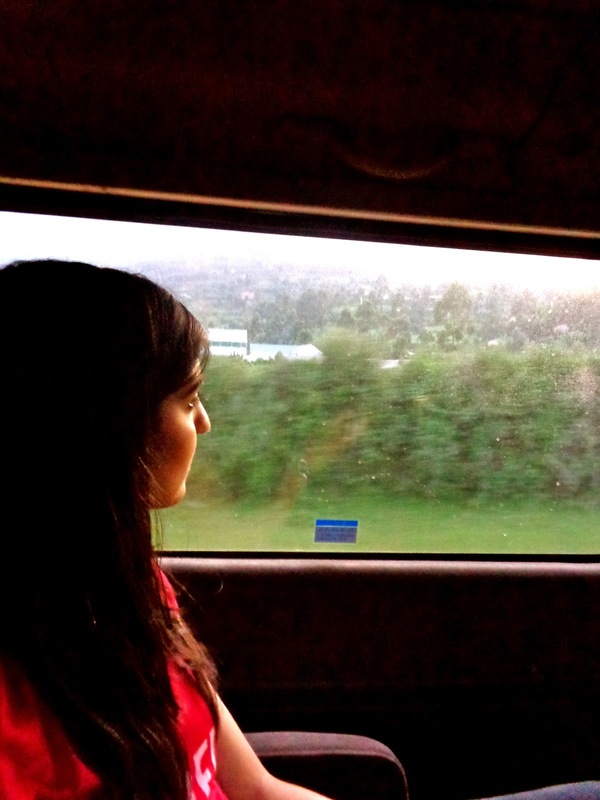 As we started driving back down the mountain, we found out it is a seven hour drive to Masaka! We were under the impression it was quite shorter, but of course, the roads are quite terrible in the countrysides, and the construction patches do not help! I actually exclaimed my excitement quite loudly with a happy squeal when we finally hit tarmac about two hours in! The drive was right through the gorgeous, gorgeous countryside of Western Uganda. We were surrounded by mighty mountains, carpeted with lush greenery, and dotted with mountain goats and cattle. The cattle here are plentiful, and the bulls have super long horns. There really is such rich scenery here, some of the most beautiful landscapes I've ever seen. However, on the sides of the roads, are some of the poorest people I've seen. This juxtaposition was a lot to take in, and really made me thankful for everything we have. About three hours in, before even reaching the first town from the mountains, we discovered that our front left tire was punctured. 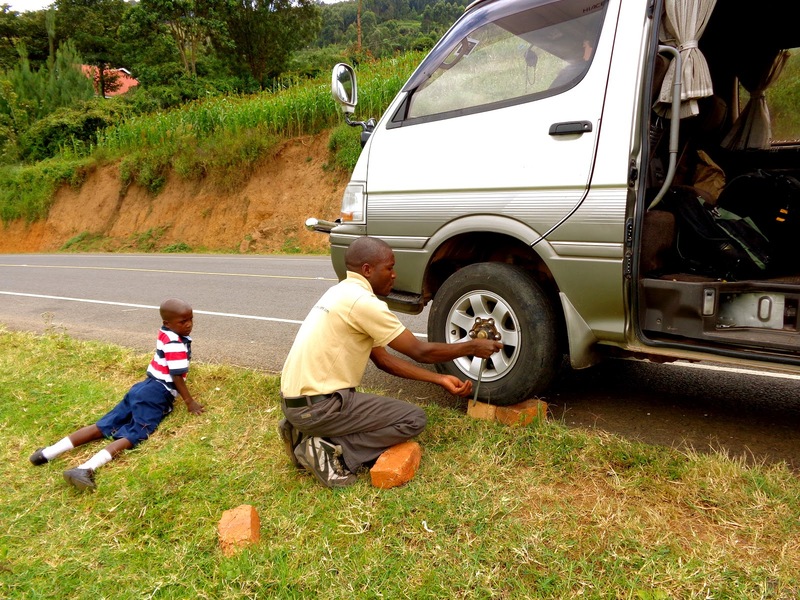 Chris changed it on the side of the road, and then once we reached the town of Kabale, we had new tires put on each front wheel, and had the pressure topped up in all of them. This unforeseen incident was not helping our mission to reach Masaka and see it before sunset! Nevertheless, I continued to enjoy the scenery, and Jamie continued to sleep. One of the highlights was a stunning full rainbow, stretching across three large hills, its ends disappearing into two valleys. Around five hours into the drive, we decided to stop for a bathroom break. Chris took us to a gas station that apparently had bathrooms, but when I opened the door marked "women," I was immediately overwhelmed by the most disgusting smell ever. The bathroom was just a hole in the stained concrete floor, but I really had to go. My apologies for writing about such an unpleasant experience; it was one of the more (unfortunately) memorable moments of the day! We stopped in Mbarara, about seven hours into the trip, and after looking at the map, we realized it would be still quite some time before we reached Masaka. Jamie was quite frustrated with the entire situation, and made some remarks about the country overall. Even through I've never been here, I do feel connected to the place, and he realized from my stunned reaction that I took offence to the comments. He apologized, and we ate a delicious dinner at a pleasant hotel restaurant. We also tried numerous times to connect to the internet without luck, and therefore started back on the road to Masaka.